When a California home buyer gets both a first & second from the same lender, and the lender forecloses on the first- three scenarios for the second deed of trust. California home buyers often get both a first loan and a second, usually a home equity line of credit, or “HELOC.” Generally, when a second loan is made by a different party, not as a part of the purchase, when the first forecloses, the value of the junior’s security has been wiped out (the 2nd becomes a “sold out junior”). The one form of action rule then does not prevent a lawsuit for the debt on the second. However, when the same lender makes both the 1st and 2nd loans, it is more complicated, and owners in this situation should consult with a Sacramento & Yolo real estate lawyer. 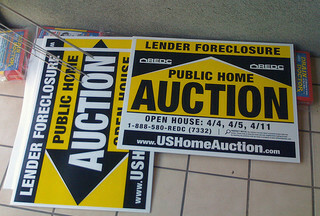 There are three typical scenarios that cover possible personal liability for the second, if the first is foreclosed. 1. Original lender holds both first & second, forecloses on first. 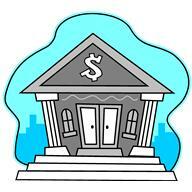 ➔There is no liability for the second, as it was a purchase money loan. 2. Original lender sells/ assigns the second to another bank, then forecloses on the first. ➔ There is personal liability for the second. If the holders are two unrelated parties, the transaction was not an artifice to evade 580d. The court does not look at the moment of loan origination, but at the time of the trustee’s sale. Cadlerock Because the value of the junior’s security has been wiped out, the one form of action rule does not preclude a lawsuit for the debt. 3. Original lender, while still holding both loans, forecloses on the first. Later, it assigns the second to another party. ➔There is no personal liability for the debt on the second.